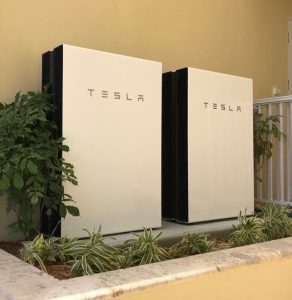 Energy storage in the Virgin Islands is more affordable than ever! Technology advancements have made batteries smaller, more affordable, and relatively maintenance free. Combining your solar system with a battery will keep your house powered day and night, regardless of what is happening with the utility company. Caribbean Solar Company can create an off-grid or battery back-up system that produces and stores energy while maximizing comfort and savings. 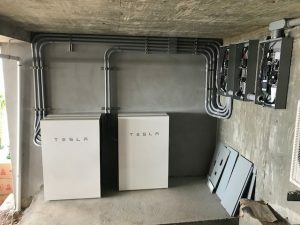 Most homes in the Virgin Islands can go off-grid with battery banks that fit in a small storage shed. Learn more about Tesla Powerwalls here. 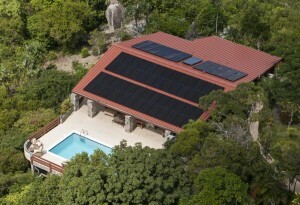 This villa installed a 19 kW solar ground mount and two 16kW Sonnen batteries. If the grid goes down, guests can enjoy 22+ hours of uninterrupted power, even on cloudy days! Learn more about Sonnen Batteries here. 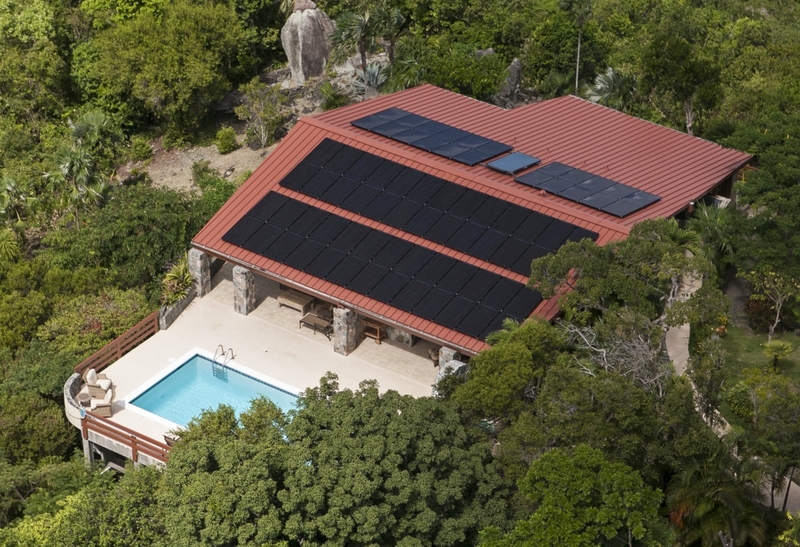 This rental villa has a 13.76 kW SimpliPhi battery back-up to protect their guests from power outages. A custom built enclosure keeps their batteries shielded from the elements and out of site from villa guests. Learn more about SimpliPhi Batteries here. This residence has an SMA system paired with their battery back-up. The SMA inverter monitors their energy levels, while their maintenance free cells let them enjoy cost efficient back-up power without any of the fuss. Learn more about SMA Inverters here.